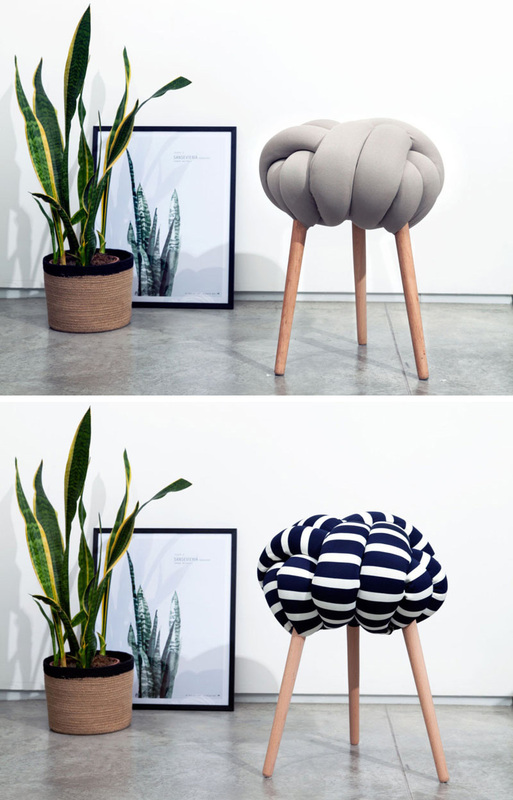 Tel-Aviv based design company Knots Studio has designed a set of stools featuring their knot pillows attached to a set of wood legs, creating a nautical inspired line of knot stools. 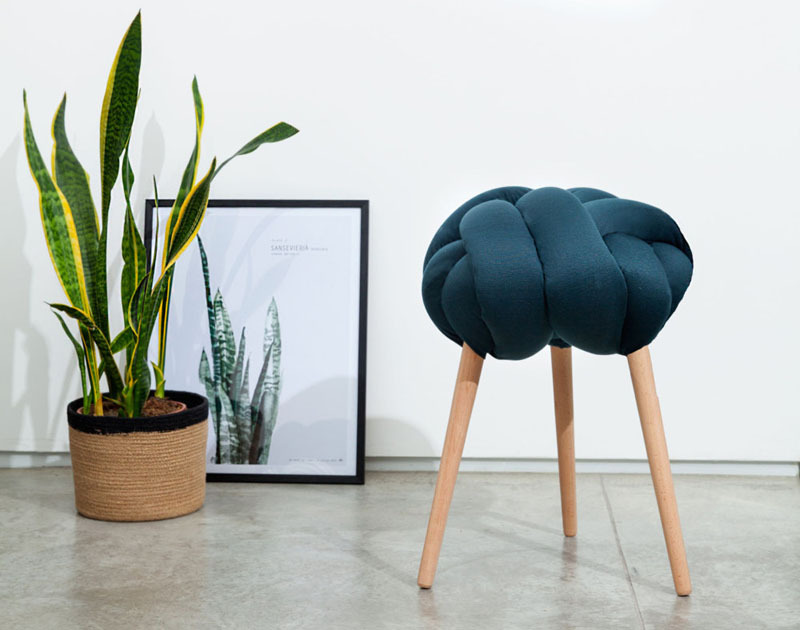 The stools are made from solid or patterned fabric stuffed with a foam filling to help it keep it’s shape. Once they’ve been knotted, the seats pillows are then secured to Beech wood legs to give the stool a strong structure that’s both comfortable and sturdy.